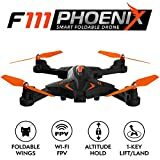 Unfold and behold: That’s how we like to introduce the ultra-unique F111 Phoenix Wi-Fi FPV drone – an innovative folding drone with live video that combines great beginner control with advanced features and a super-sharp 720p camera. TUCK IN THOSE ROTORS; PROTECT THOSE MOTORS. 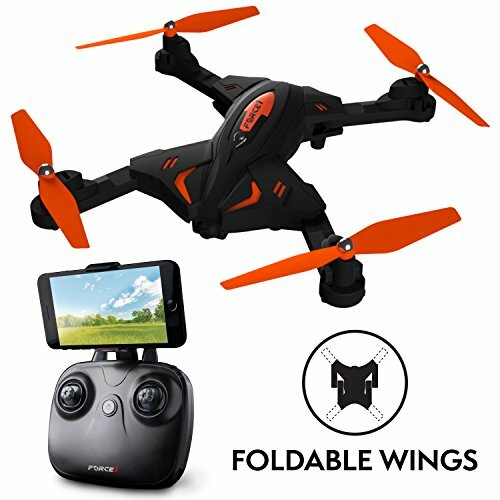 Fold up the Phoenix HD camera drone and take it with you wherever you go – no case needed! FLYING THIS DRONE IN WI-FI FPV IS UTTER SIMPLICITY. 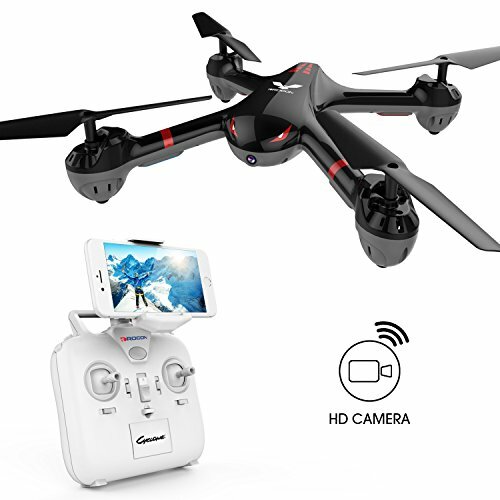 Advanced drone Wi-Fi and 1-key controls make this one of our best drones with HD camera capability for flying with a first-person view. STAY UP AND ON THE LEVEL WITH HIGH-TECH STABILITY FEATURES. This HD video drone boasts a 6-axis gyro (instead of the usual 4), Altitude Hold and Headless Mode which, when combined, make for one of the most stable, easy-to-fly drones you’ll ever find. EXECUTE EASY 1-KEY TAKEOFFS, LANDINGS AND FLIPS. 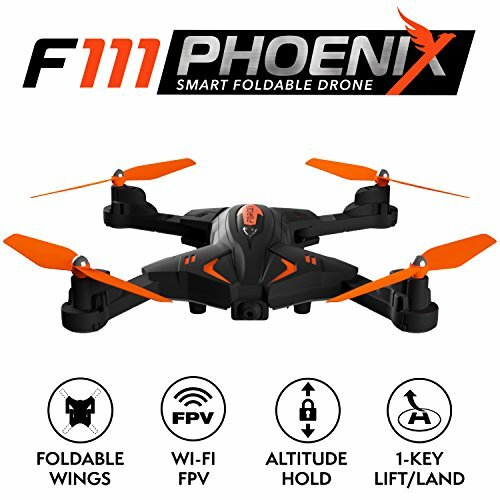 Fly and flip the Phoenix drone quadcopter with camera at the touch of a button and snap the action as you go! 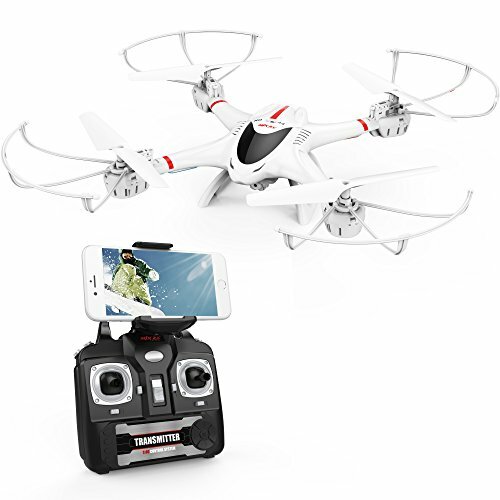 RECORD DRONE LIVE VIDEO AND PHOTOS WITH THE 720P HD CAMERA. Zip, zoom, dip and dive, and capture crisp drone HD video and photos along the way. PILOT WITH YOUR PHONE IN DRONE FPV HD MODE AND SEE WHAT THE PHOENIX SEES. 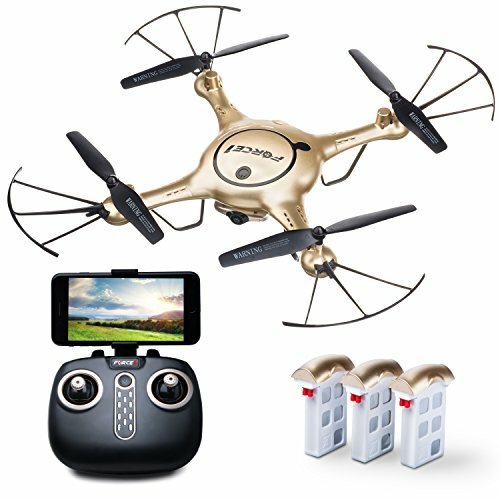 The Phoenix drone FPV camera mode allows you to fly in first-person view so you can look through the lens of your drone while you cruise the skies!